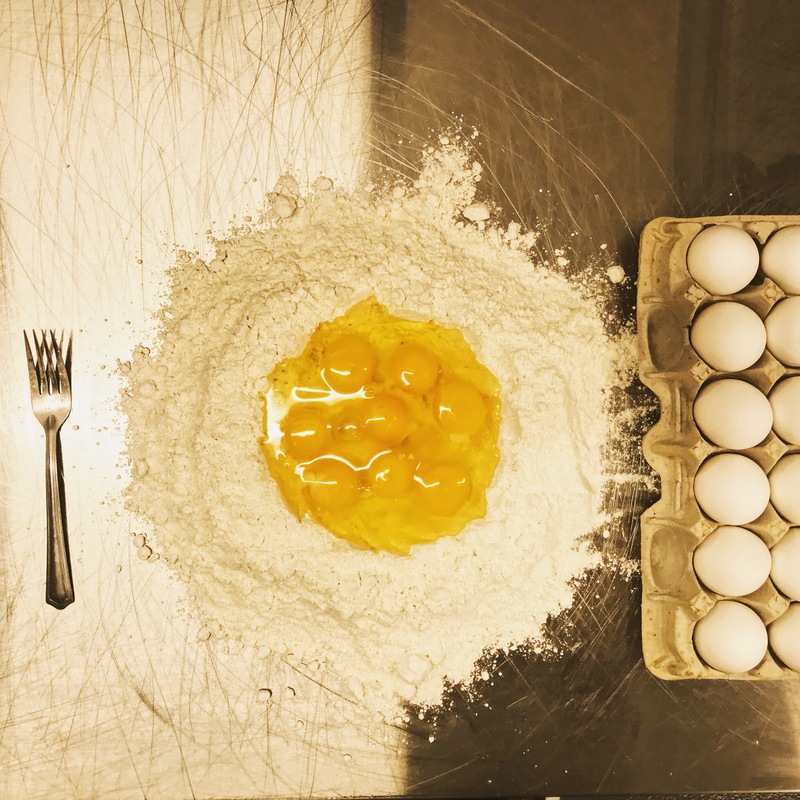 There is nothing more delicious than fresh pasta, and making it yourself is so simple. Our chef instructor will show you how to make the perfect pasta dish from scratch with ease. You’ll be able to take what you learn and translate it to many different pasta dishes for many meals to come! Great pasta isn't about recipe it's all about the method. In our class you'll work together with other foodies in a fun, hands-on environment led by our chef instructor. Class size is limited to better the learning experience. As of right now we are offering class on Sunday afternoons at 2pm. Give us a call or send us an email to reserve your spot today. If you'd like to request a private pasta class send us a message with your requested date and party size. We can’t wait to cook together! Spend about 2 hours learning how to make pasta from scratch and how to properly cook and dress the pasta. Take home dinner for 4, including a freshly baked baguette, 1 quart of homemade marinara sauce, and the pasta made in class.